As a working mom, it’s easy to be too tired to fix a healthy meal for my family during the work week. So for those days, I turn to quickie easy recipes like this one. Fall is the perfect time for foodies. From seasonal offerings at places like Starbucks, to farmer’s markets popping up everywhere, it’s easy to experiment with your recipes. 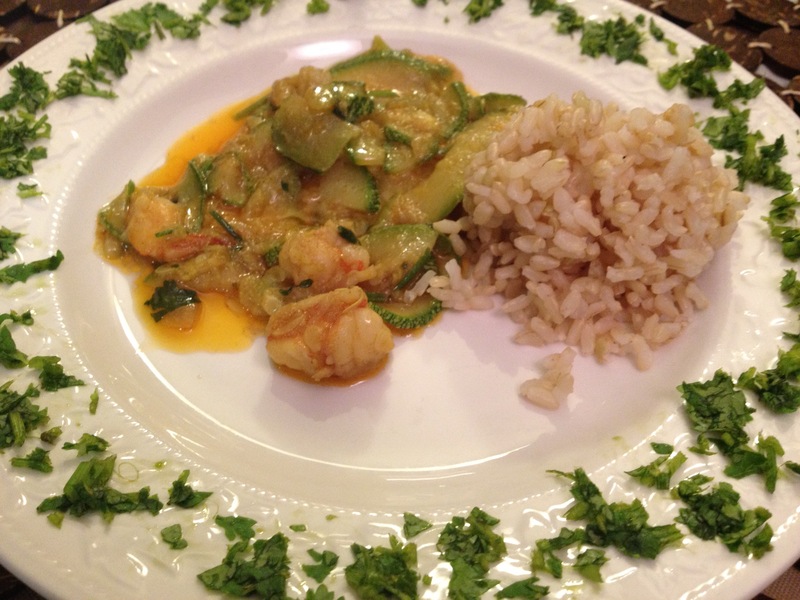 Fall is the time of year that squash like zucchini is abundant, so I just threw together this dish tonight for dinner. I promise that even if you never made a curry before in your life, this recipe will help you make an authentic one. Thanks Amma (my mom) for teaching me this easy basic in my early teens. Make it and then curl up to snuggle with your family! 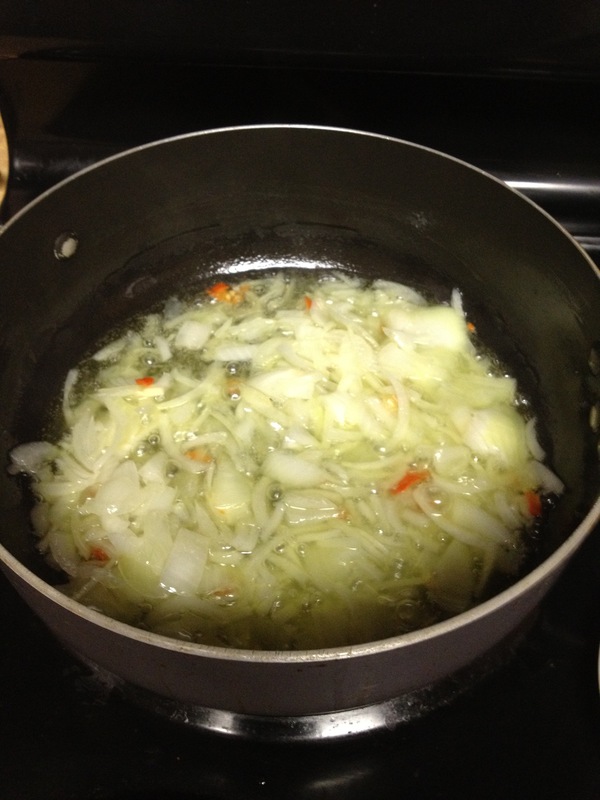 2) After 3 minutes, add chopped onion and sauté till onions turn translucent. 3) Add salt and sauté. 4) Add naga pepper and sauté. 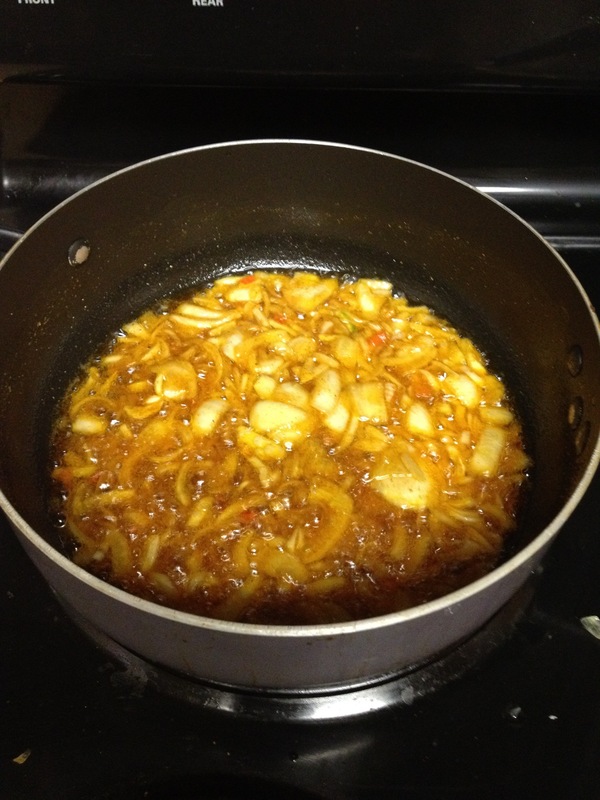 5) Add spices and sauté for 7 minutes on medium heat. 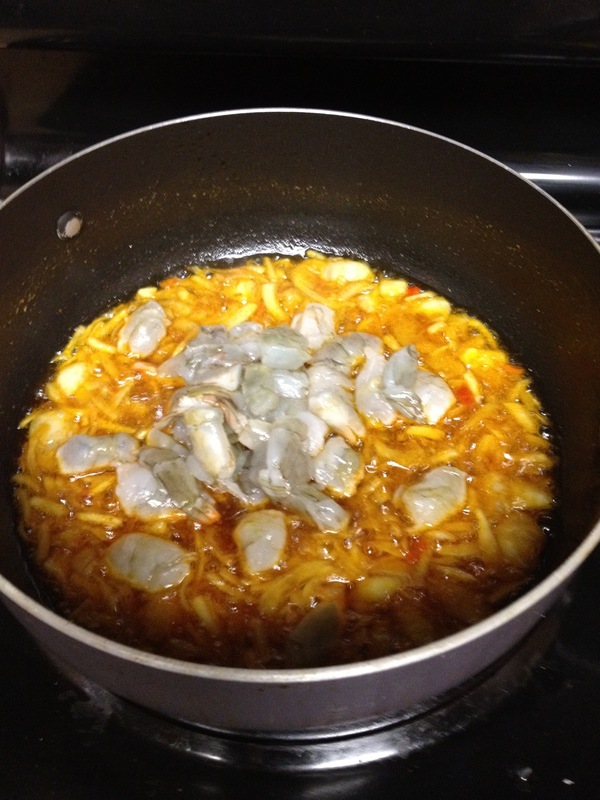 6) Add bite sized shrimp and cook until pink. 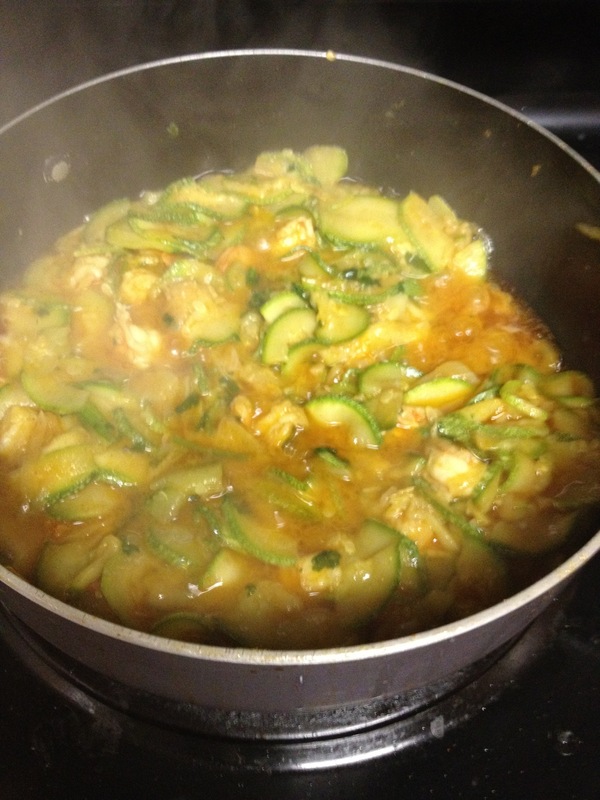 7) Add zucchini and cook on 10 minutes medium heat. 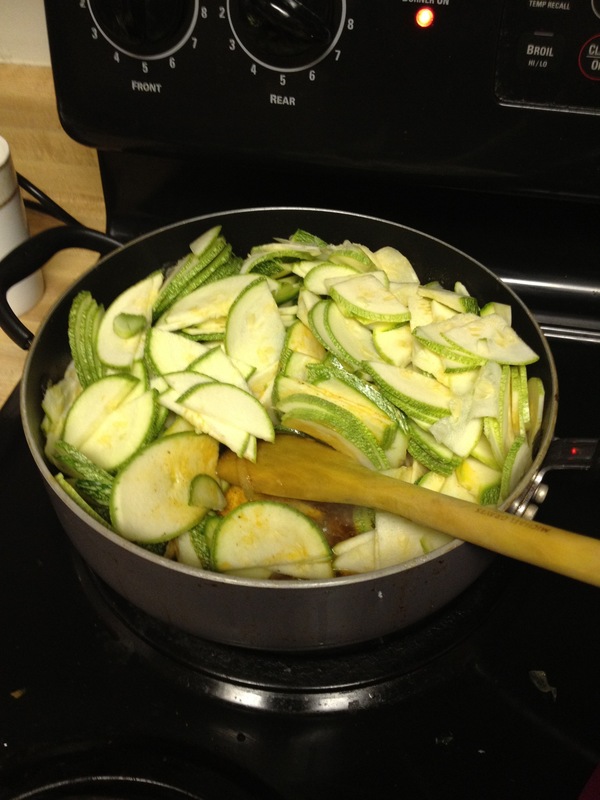 8) Raise heat and cook for 8 minutes high heat or until zucchini turns translucent. 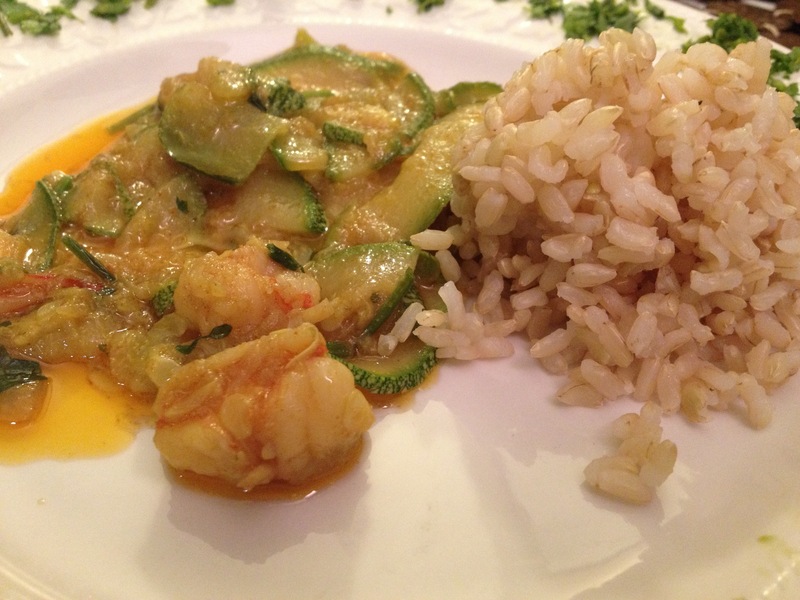 9) Serve with brown rice.